Maximising the amount of light making its way into your home, aluminium bi-folding doors are operated via a unique sliding opening mechanism. Available in a range of configurations, depending on the size of the aperture, they’re an energy efficient, high security solution for maximising the visual appeal of your home. Appreciate full views of the weather outside whilst being completely protected from it, thanks to vast amounts of glazing, incredibly slim sightlines and a compact, beautifully constructed, fully weatherproof system. 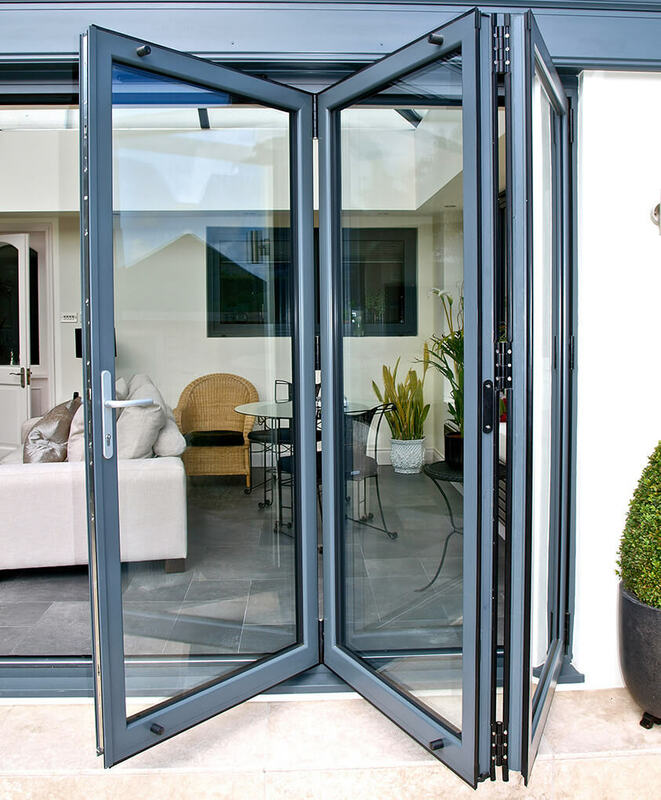 Using the latest security hardware, our aluminium bifold doors include a toughened glass unit, meaning your home will be exceedingly difficult for would-be intruders to break into as well. Equipped with an energy-saving design, they ensure for an impressive thermal performance, which could result in a reduction to your energy bills. 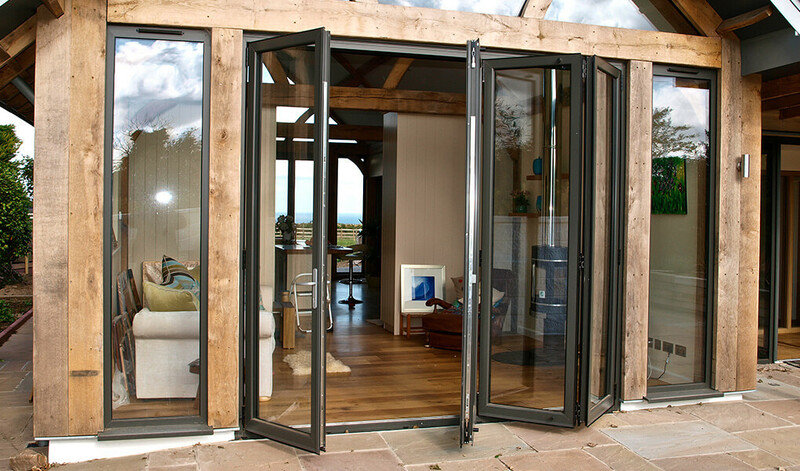 When opened, our aluminium bi-folds can be stacked to one side on top of one another, completely exposing your home to the elements, allowing you to feel seamlessly connected to the outdoors. With U-values of 1.6 w/m2K, they exceed British standards for thermal efficiency. A shootbolt locking system, toughened glass and internal beading ensure for exceptional levels of security. Available with a low threshold option, which is ideal for wheelchair access. With our vast selection of colour options, you can co-ordinate our doors with every aspect of your home. This includes dual colour, woodgrain and anodised finishes. With such a wide selection, you’re able to reflect your unique personality, or match your home’s colour scheme. Whatever you opt for, there’s a shade to suit any purpose. T&K offers a number of configurations, to suit the size of the aperture and the how the doors plan to be used. They can also open either inwards or outwards, allowing you to maximise space. 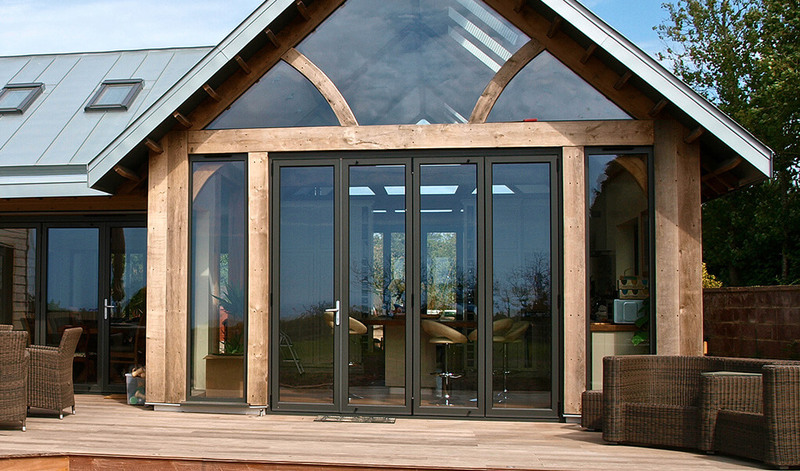 Whilst our aluminium bi-folds are constructed from materials of the highest quality, T&K also installs bi-folding doors constructed from uPVC and timber in Northampton, Milton Keynes and beyond.